not my kit or photo's if the owner or photographer have a problem please say so and i'll remove them. i have never seen one of these kits labelled as a peter stokes kit before, but you learn something new every day. 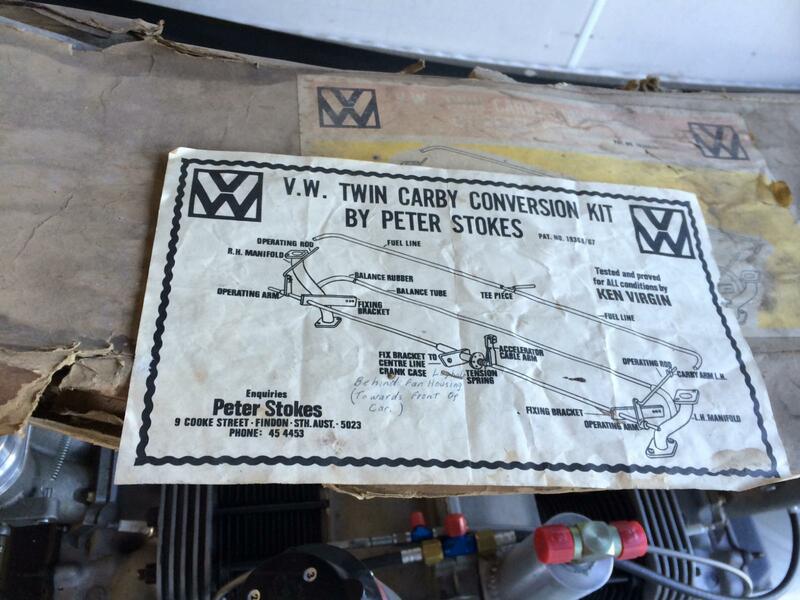 I have the label off another nos kit that clearly says "ken virgin twin carb" the only thing I can surmise is ken virgin sold the rights to peter stokes. when, I have no idea.